Hurricane Insured Losses Top $5 Billion | Insurance Litigation Group, P.A. According to My Panhandle, there is an estimated insured loss of $5 billion due to Hurricane Michael damage. As of Friday, insurers reported 141,039 claims from the storm in October, which estimated insured losses of $5.023 billion. 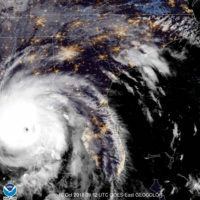 So far, 73 percent of claims have been closed from the storm that made landfall in Mexico Beach and destroyed Panama City. On Monday, Gov.Ron DeSantis said he will return to the region Wednesday to see the damages and is expected to be joined by the Federal Management Agency Administrator Brock Long. The largest number of claims involved residential property, 94,419. The highest amount of claims come from Bay County with a total of 84,526 claims. Bay is followed by Jackson County with a total of 13,722 claims; Leon County, with 9,577 claims; Gulf County, with 8,037 claims; Gadsden County, with 5,860 claims; Calhoun County, with 3,998 claims; and Franklin County, with 2,179 claims.